Brights Hardware was founded in 1971 by Mr. and Mrs. Luis as a General Dealer specialising in electrical contracting and repairs. Through the years, the business has grown into a multi-faceted outlet for all one’s building material and hardware needs. Since opening the first warehouse in Stikland, Cape Town in 1995, Brights has expanded considerably with the first franchisee store in Plattekloof in 2006 and a store in Blackheath in 2009. In this same year, Northern Trusses was incorporated into the Brights Group, and renamed to Brights Trusses. Further expansion continued with the opening of a store in Uitzicht, Durbanville at the end of 2011, one in Langebaan in April 2012, and a big store in Montague Park at the end of 2013. Today, Brights is owned and operated by the Luis children, their spouses and Brights staff members who are shareholders. Mrs. Luis, still part of the business as Founding Director, has devoted her time to the training and upliftment of Brights staff. The late Mr. Luis, who passed away in 1998, is remembered as a leader with a great vision and tons of energy – earning him the title of “Bright Spark” in the family. This “spark” was captured in real-life by his daughter, Marina, who created “Sparky” for her pen pals when she was younger. The very same “Sparky” is still part of the company logo to this day. “Our challenge has remained the same since our doors opened in 1971 – to maintain the highest standard of service to our customers by living our motto that “Brights is more than just a Hardware store” says Mrs. Luis (Brights Founder). Unashamedly Ethical is a campaign promoting ethics, values and clean living. The organisation facilitates the forming of local “Unashamedly Ethical” communities all over the world. Their founder and chairman is the South African businessman Graham Power. Brights Hardware is proud to be part of this initiative and shares it’s ethos. The New Heritage Foundation is a Western Cape-based, non-profit organisation that specialises in Early Childhood Development. Together with partners, the organisation is committed to driving sustainable action and change in communities throughout the Cape. 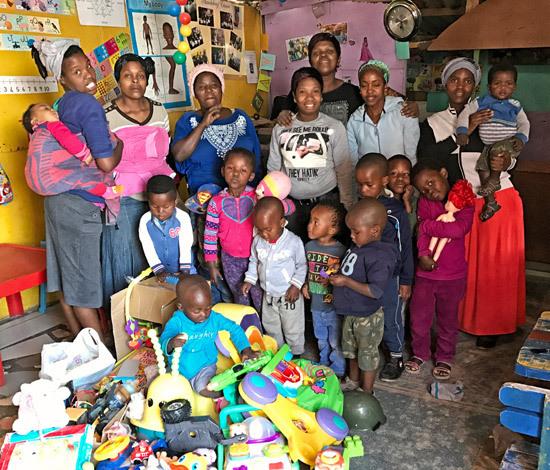 BRIGHTS has previously partnered with the New Heritage Foundation on a few projects, including an extreme makeover of Klipfontein Primary School in 2015, and more recently a sanitary box drive for girls.